I have recently moved in to my boyfriends dads house just while we both save up a little bit and find a nice new pad. The house is 3 stories (& a basement too) so we have the top floor to ourselves ! I brought over a few bits but I didn't want to bring everything I own cause I didn't want them to think I'm moving in forever ;). I packed up one suitcase of clothes, a box of shoes and then I have some plastic drawers for toiletries, makeup etc, university things and then underwear and pjs. I feel like I have packed efficiently and not gone over the top (like usual). 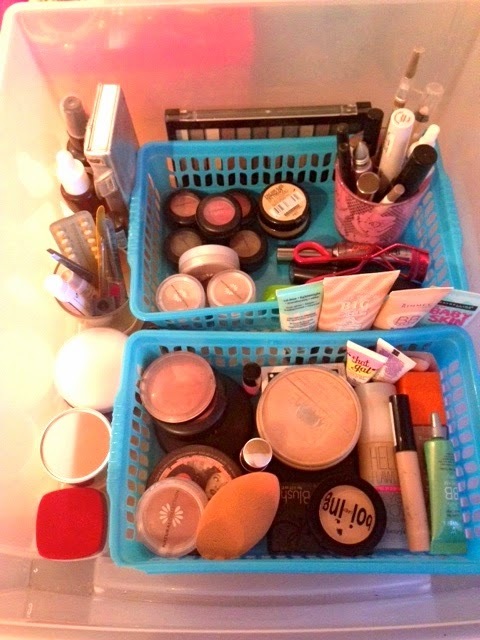 I thought I would show you how I am storing my makeup and skin care. I had tried to limit myself and just bring 'essentials'. 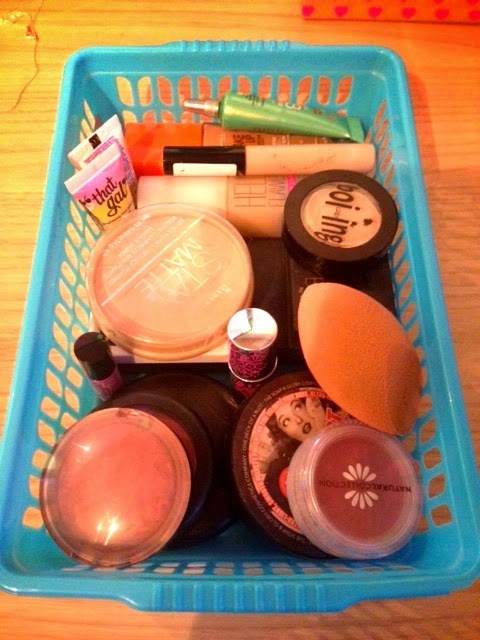 I have used little plastic trays to separate my makeup, I have foundations, bronzers, blushers etc in one. And then eyeshadows, mascaras, and eyebrow products in another. I then have bits slotted down the sides like two pallets, cremes and 'bits & bobs'. 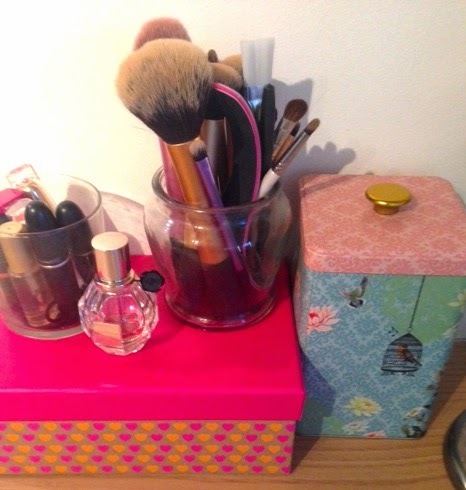 I have used little candle holder glass jars to utilise the space the best I can ! 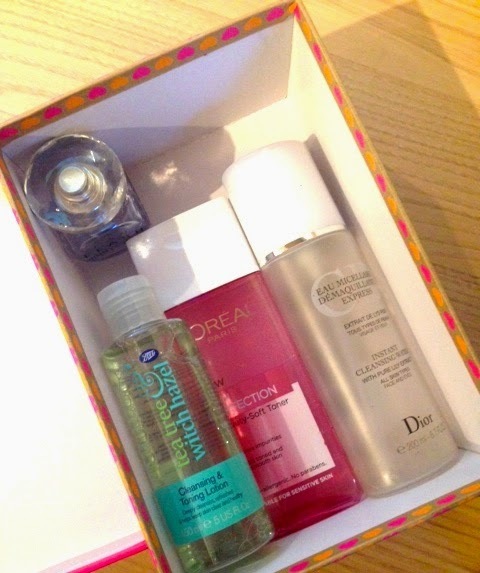 I then have a little box ( The one Lucy sent me in the Hull Blogger box swap) I have a few skin care bits in here i haven't finished sorting it yet. and then I have a jar with makeup brushes and a jar with lip products, theres also hair bobbles and grips in the bottom of there too. I hope this has give you some inspiration if you don't have much room. I feel like I have utilised my space well so the boyfriend doesn't shout at me for bringing alll my stuff :P.